Rejoicing and singing the praise of the lord Jesus Christ is the flavor of this season! It is that time of the year when the whole world celebrates the birth of Jesus and sings his praises all across the globe. 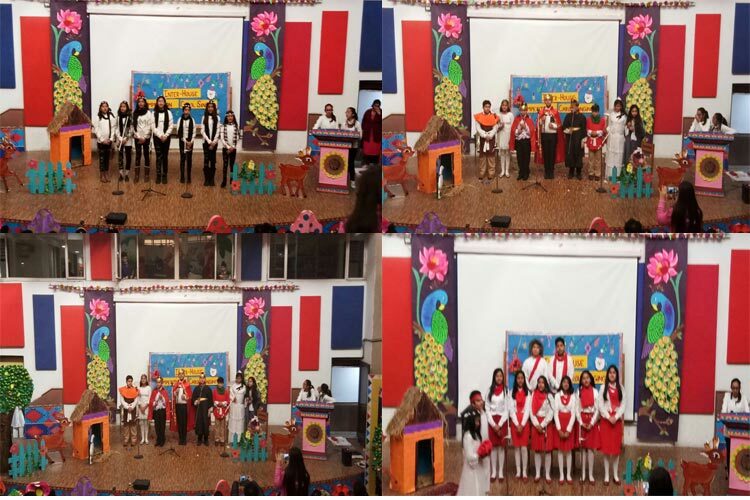 On Tuesday, 19 December 2017, the middle wing of K. R.Mangalam World School, Vikaspuri came together with its four houses to celebrate yuletide through carol singing. The students of our school too, joined in the celebration bandwagon and competed against each other to be the best choir group. The four houses; Ruby, Topaz, Emerald and Sapphire all participated enthusiastically and presented mesmerizing musical treats for all. Their songs of praise surely reached the divine as all were spellbound by the four performances. The competition was won by house Topaz and the winners will now get an opportunity to perform at Piccadily, Janakpuri ,followed by dinner. Quite a prize it is for all the winners and a motivation to be the best always for the rest!